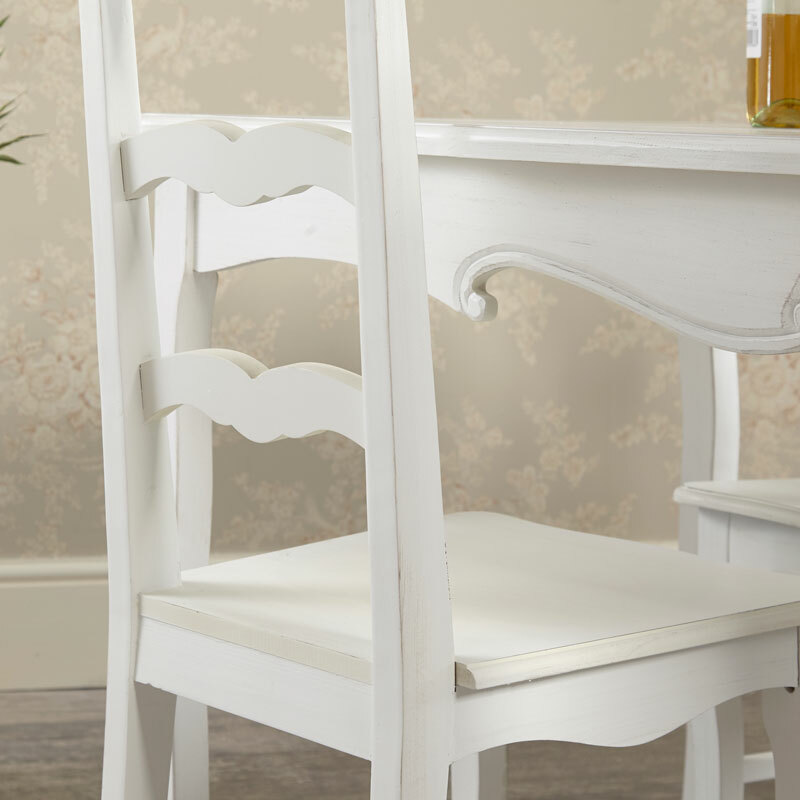 Our Jolie dining chair will be the perfect finishing touch to your Kitchen or Dining room. 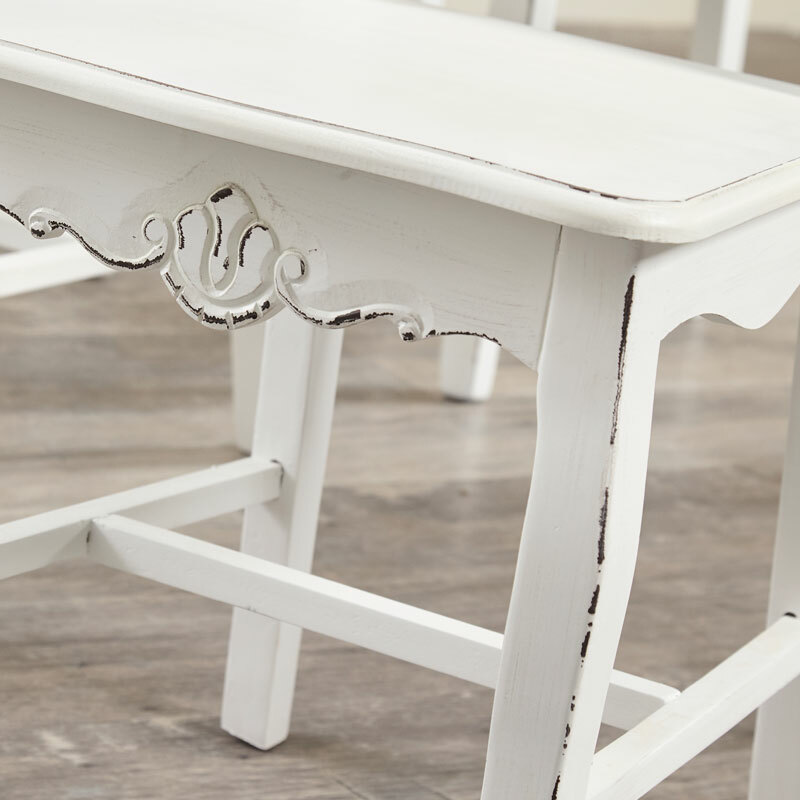 It's vintage off white colour with subtle distressing adds to its rustic beauty. Whether your interior resembles a French Chic country Chateau or one of a shabby chic home then this Jolie dining chair is perfect with its simple ornate carvings. Also suitable for use in the bedroom for sitting at your dressing table or just as an eye catching focal point in the corner. 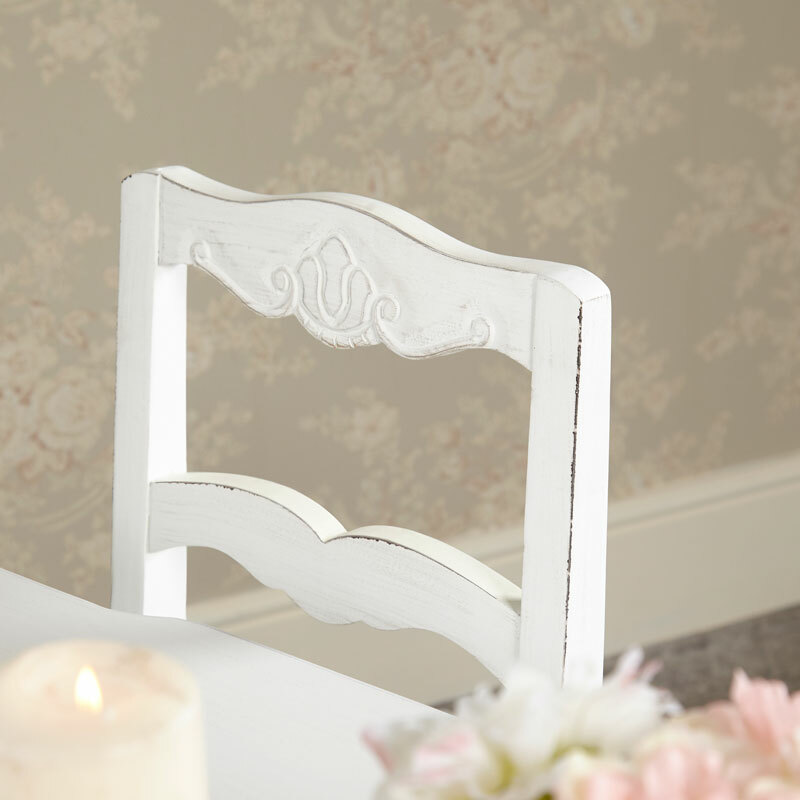 Our Jolie dining chair will be the perfect finishing touch to your Kitchen or Dining room. 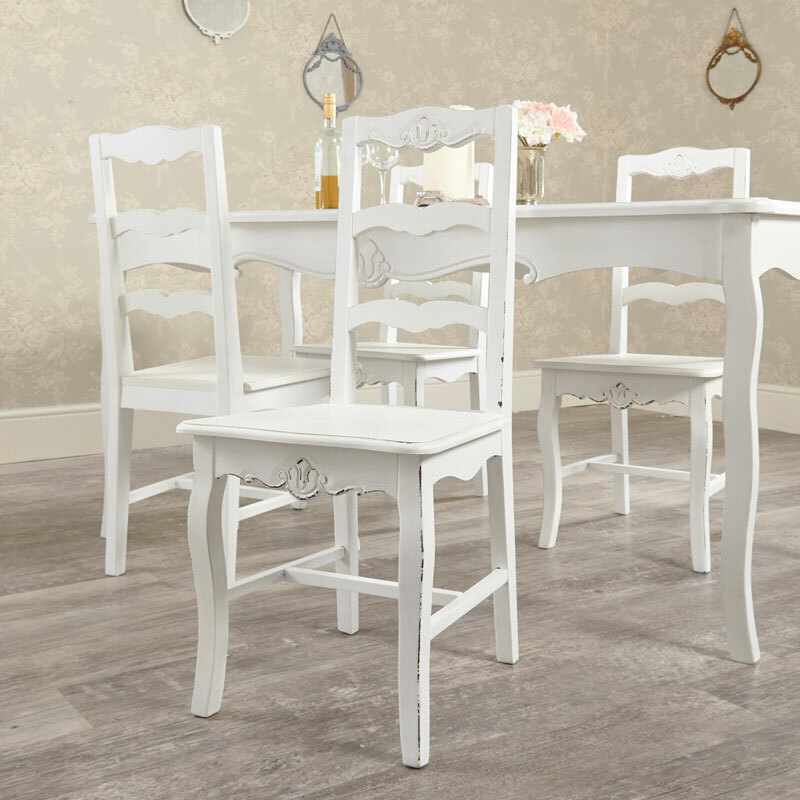 It's vintage off white colour with subtle distressing adds to its rustic beauty. Whether your interior resembles a French Chic country Chateau or one of a shabby chic home then this Jolie dining chair is perfect with its simple ornate carvings. Also suitable for use in the bedroom for sitting at your dressing table or just as an eye catching focal point in the corner. We have a range of Jolie items available so be sure to find this chair its perfect match! From dining room to living room and even bedroom items. Measurements (other): From the floor to seat pad 43cm high.